In Greek mythology, it is said this luxurious wine was reserved solely for the gods. and god-like it is. 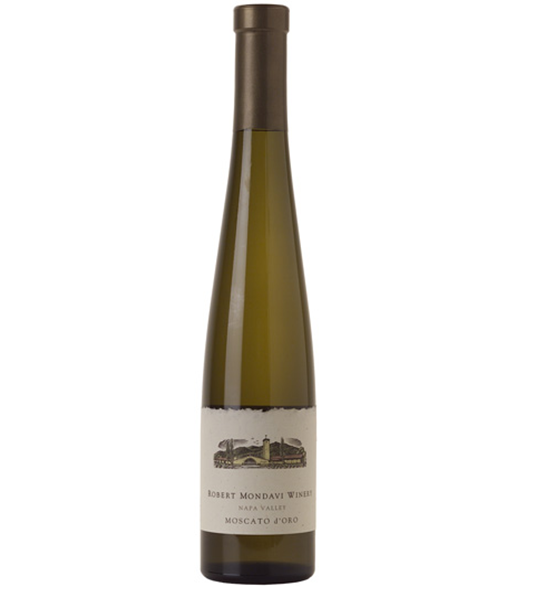 Crafted solely from Muscat Canelli grapes grown in Napa Valley’s Stags Leap District, the 2009 Moscato d’Oro is a study in exotic floral aromas of pink jasmine and lemon blossoms overlapping tropical notes of guava and lychee. The palate’s plush, abundant stone fruit flavors are complemented by shades of orange and spice and cleansed by a refreshing, citrusy finish. Don’t shy away. this is a must-have for every table.